BLOOMINGTON, Ind. 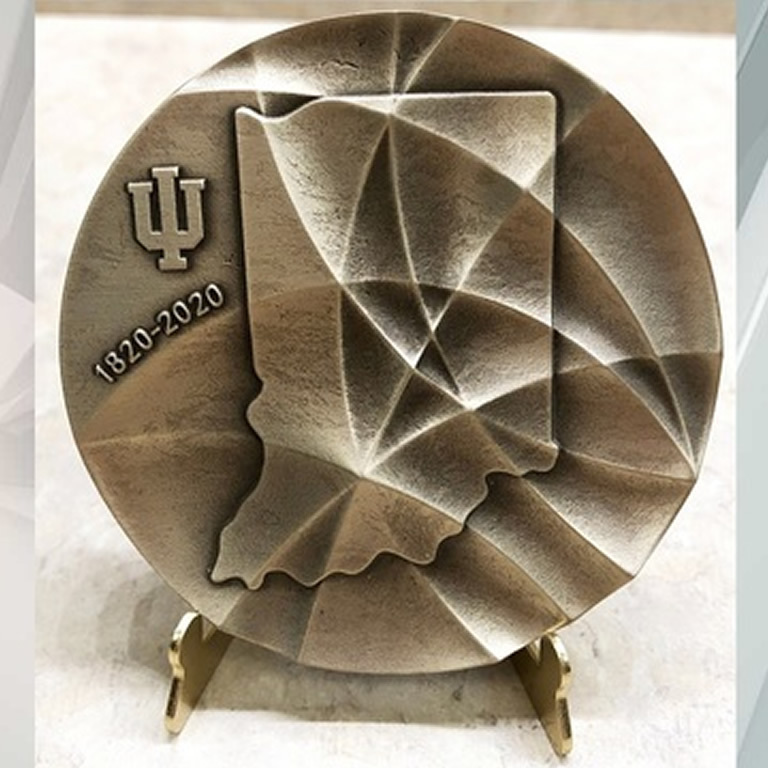 (AP) — Indiana University has unveiled the design of a bicentennial medal that will be issued for the school's 200th birthday. The medal design revealed during last week's IU trustees' meeting in Columbus depicts IU's seal on one side and an outline of Indiana and contours like flight patterns on the flip side. The medal was designed by Jeeyea Kim, a faculty member in IU's School of Art, Architecture + Design. The Herald-Times reports that the medals will be cast from metal taken from bells that hung in a campus building damaged by a 1990 fire. They'll be presented to people and organizations that have broadened IU's reach. IU was founded as the Indiana Seminary on Jan. 20, 1820. It became Indiana College in 1828 and Indiana University in 1838.